There’s always a special buzz bubbling below sea level surrounding this treasure of a city. Actor John Goodman once said “Someone suggested that there’s an incomplete part of our chromosomes that gets repaired or found when we hit New Orleans.” Well, that’s me. Every time. (I fell in love with the city during a humid site visit back in July 2008 and was enchanted). This year though, the city has a little extra, what locals call lagniappe …it’s the 300th birthday of the city, its Tricentennial! Cue the glitter cannons!!! The city has been preparing and celebrating its 300th birthday in an impressively smart and creative fashion. As a continuous lodestar of resilience, art and passion, this city also means business. At the end of 2017, the New Orleans Convention and Visitors Bureau and New Orleans Ernest N. Morial Convention Center convened representatives in several cities; including Chicago, to conduct focus groups centered on their convention business, the horizon, next steps, and what constitutes “the meeting room of the future”. Enhanced space for Mothers Rooms: With more working mothers in the workforce, flexibility and options while they are away from their babies and young children are a must. More formal and recognized areas with refrigerators and outlets instead of makeshift spaces will make that difference. Creative pre-function space: Different groups need space that can accommodate a range of preferences – some need extra wide hallways to gather or floor-to-ceiling windows to showcase the beauty of the city’s surroundings. Varied transportation: Safety is a top concern – revive the existing shuttle loading areas and ensure that walkways from the surrounding areas are set-up to create a safe arrival for pedestrians and vehicles. Natural light: An environment where attendees feel refreshed, open to learning and exposed to the vibrancy of the city outside the walls create an overall good experience. Let attendees plug in: People of all generations now need the ability to have connectivity throughout their conference experience. The space layout should reflect this need. Focus on local flavor: Attendees want to gain the full experience of what makes a city unique! Focus on local art in the common spaces and/or culturally significant food and beverage options. As association professionals, we must continuously think about member experiences. When we meet for our tradeshows and conferences, we plan with the lens of what a special attendee experience could and should look like. What are the new trends? What’s ahead? How do you keep it fresh and not revert to what has worked for the last 10 years at the risk of being stagnant? Are we meeting the needs of our “classic” members but, at the same time, looking towards the future? Are we attracting the new and “next” member? If it’s daunting to think of how to begin or develop those experiences while on site for your annual meeting, be comforted by the surrounding partners that are putting in the work to guide us and provide resources: convention & visitors bureaus, convention centers, destination management companies, and hotels. 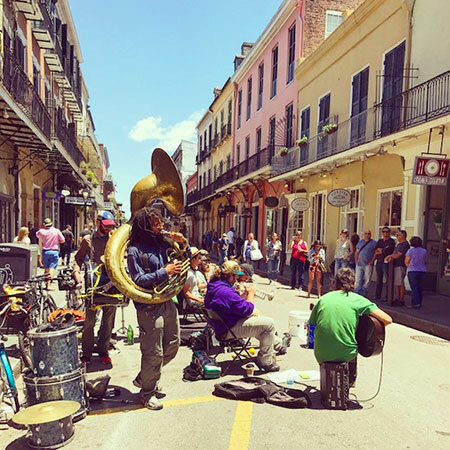 The efforts of the New Orleans CVB and convention center to gain the perspectives of meetings and association professional’s makes me feel good about where we’re headed. Their planning is purposeful and tuning into their process and learnings will only make our conferences and tradeshows stronger. In a year that New Orleans is celebrating a monumental birthday, they’re working on changes to the convention center that will continue to make it a destination that can offer a thoughtful, diverse, and unique experience that always has that “only in New Orleans” feel. As associations, we can do the same for our attendees.